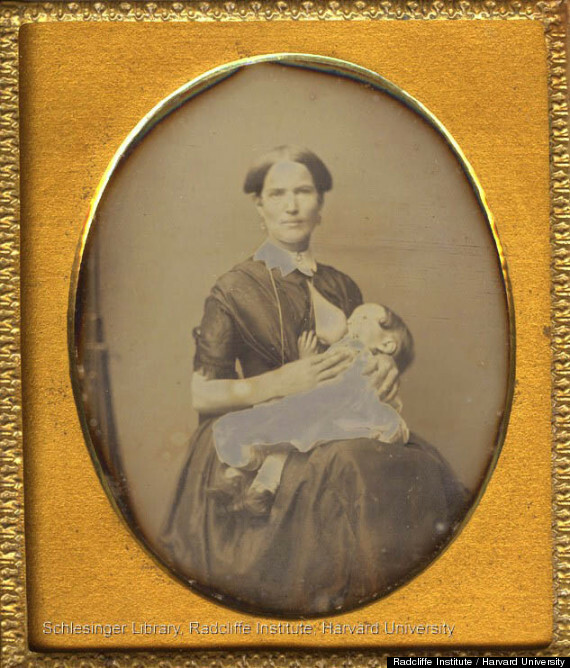 There is no doubt that concerns about infant mortality rates in the USA at the end of the nineteenth century played a role in motivating the medical profession to find new, safe ways of providing nourishment to small babies. I just can’t work out why there was so little effort to try and work with human lactation. Wet nurses were (perhaps rightly) widely condemned, but lactation advice seemed to consist solely of offering something else to feed the baby. This complementary feeding almost inevitably led to weaning because of reduced ( or further reduced) feeding at the breast and then reduced stimulation to make more milk. What about human milk banks? They seem not to have been thought of … formula was the substitute. Milk sharing must have been endemic, just from the view of infant survival. And it’s a different phenomenon to wet-nursing: a trusted friend or family member provides the milk (and perhaps the breast), rather than a financial transaction. It is an act of trust between mothers. And then there’s the safety of having milk provided to your baby, that another mother is giving her baby. Many of you will know of the special “cousin” or sibling relationship that milk-sharing confers on babies as they grow up in Islamic cultures. A pervasive and general mistrust of the functioning of women’s bodies was certainly at play: breastmilk couldn’t be trusted to be consistently wholesome (not surprising given the prescribed conditions necessary for this), women’s bodies were unlikely to be able to produce enough of the stuff, and if there wasn’t enough, you had to give something else instead. Formula was apparently more attractive because medical practitioners were able to manipulate its contents according to “the baby’s needs”. The implication is that mothers were harder to manipulate! You bet. 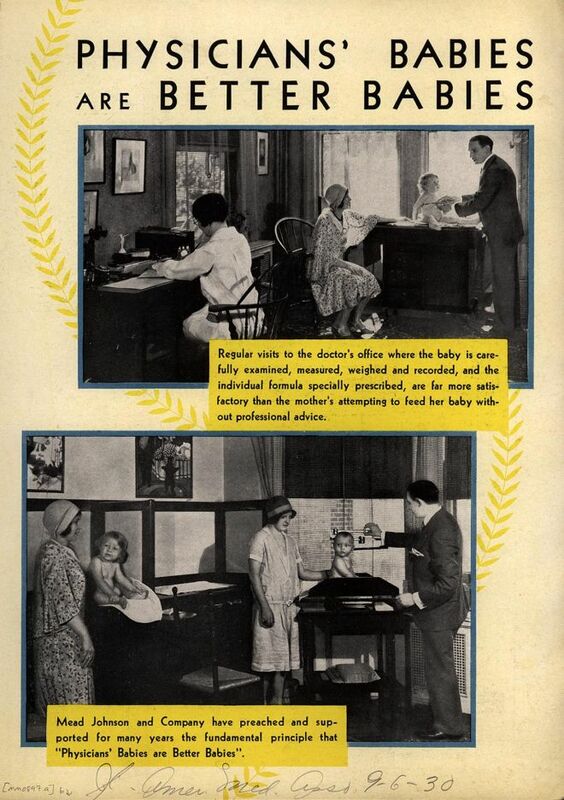 But also there was a fundamental distrust of mothers’ ability to care for their babies in general. 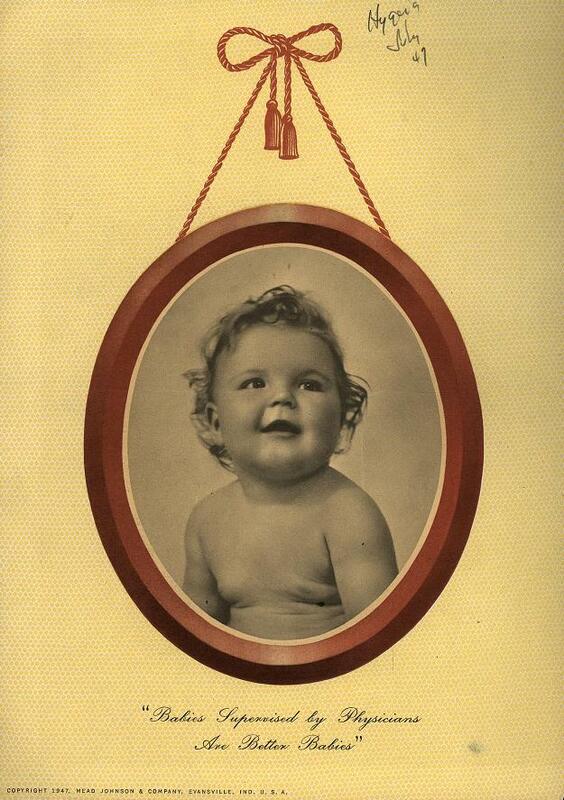 “Maternal education” was seen as vital to improving infant survival. This was done by means of pamphlets and booklets being produced. 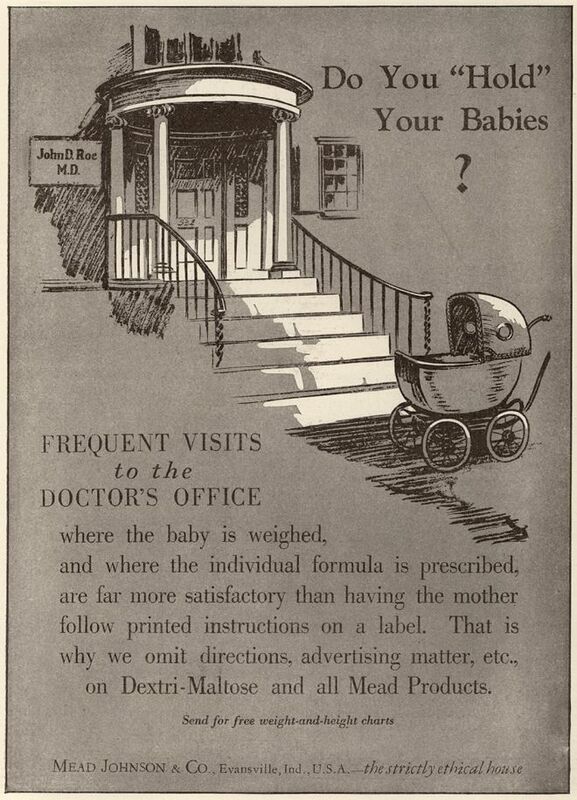 But the paediatrician or family physician was seen as the authoritative key to infant well-being. And as he knew little about lactation physiology, most mothers would be bottle-feeding before long.